From the Shropshire countryside to flower shows and book reviews, take a look at what’s coming up this month on SallyAkins.com! Yes, after a brief deluge at the weekend, the warm weather is back again. I’m glad that the gardens have had a good watering, but I didn’t realise how much I enjoyed the heat til it was gone. I’m sort of taking a bit of a break over the summer. And if you think it sounds as if I’m not sure, you’d be completely right. I’m taking some time off, but still keeping in touch with everything behind the scenes. So it doesn’t really feel like a break, to be honest. 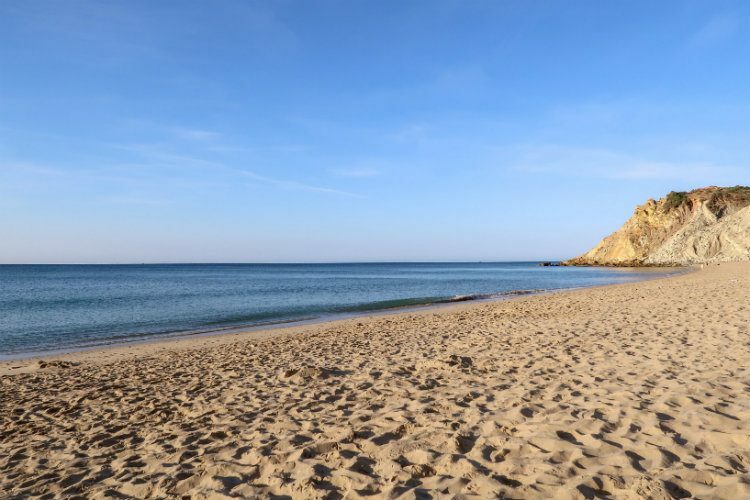 Normally we go to Portugal in the summer holidays, to the beautiful beach of Burgau that you can see in the photo above. But this summer the boys are just so busy with summer jobs and NCS, so we’re staying at home instead. That doesn’t mean that the blog will be quiet in August though, here’s a look at what’s coming up over the next few weeks. I’ll be wrapping up coverage of my stay at Puddle Duck Cottage in Ironbridge, with a suggested itinerary for your weekend at the cottage and a comprehensive list of things to do in Ironbridge. But don’t worry, I’ve got another giveaway lined up already, this time you can win a fantastic travel gift from Prezzybox. And right at the end of the month, I’ll be heading over to Nuremberg for a visit. It’s the first time I’ve visited the city, and I can’t wait to explore. Keep an eye out on social media for my updates on Twitter, Instagram Stories, IGTV and Facebook. I also have some more fabulous guest posts lined up later this month, on subjects as diverse as travelling with dogs and planning for a career break! Don’t forget to take a look at my review of the Sunday Lunch carvery at the Park Regis Birmingham. We really enjoyed our Sunday roast, and didn’t have to cook or wash up – result! Oh, and don’t forget to enter the myBURGERbox giveaway which is running until 10th August 2018. Look out for updates in the Lifestyle section from last month’s RHS Tatton Park Flower Show, captured in photographs on the Huawei P20 Pro. I’ll also be reviewing two fantastic new novels, one of which is from one of my favourite rom-com authors, Lilly Bartlett. And I’ll also be picking out some of my favourite West End musicals! There’s a lot going on in August 2018 here on SallyAkins.com. What plans do you have for the month ahead?